Several of my co-workers invited me to participate in a weight loss challenge called the Game On! Diet. Since going back to work, I’ve struggled with eating as healthy as I’d like to and finding the time to exercise. This challenge seemed like a great way to get me back into a good diet and exercise groove! And on top of that, since I’m working in a new environment with new co-workers…it also seemed like a great way to foster teamwork and friendship. I haven’t actually read this book, so it’s possible that I’m not understanding all the aspects of it. My co-worker has this book, and has given instructions to those of us participating. I’ve also flipped through her copy a few times. It seems pretty simple. I eat five small meals a day, about two-four hours apart. At each meal, I have a palm-sized portion of lean protein, a fist-sized portion of carbs (think complex and whole grain) a thumb-size portion of a healthy fat. We each have a print out of what would be considered acceptable choices for each category. At least two meals a day should have two fist-fulls of veggies. Cucumber and celery can be eaten at any time throughout the day. Artificial sweeteners and processed sugars should be avoided. I get daily points for the five meal that I eat, following the competition guidelines (you don’t get points for eating more or eating less). I get one cheat day a week and cheat meal a week. I also can eat 100 calories every day of almost whatever I want (I choose flavored coffee creamer). But it’s not just about what I eat. I also get 20 points a day just for exercising 20 minutes (I’ve been doing yoga). At least seven hours of sleep scores me 15 points, and drinking three liters of water gets me 10 points. But wait! I also get points for dropping an old habit and beginning a new one (a good habit). At the beginning of the competition, we each listed out bad habits that we wanted to get rid of and new habits that we want to adopt. You get 10 points a day for each bad habit that you don’t do, and 10 points a day for each good habit that you do. One of my bad habits is hitting the snooze button every morning. Although now I stopped doing that, and I just wake up and reset my alarm for 15 minutes later. That’s kind of the same thing, right? Hmmmm….clearly need to keep working on that. For good habits, I added things like daily push-ups and squats. I also added spending more time with Little J. When I get home from work, I tend to incorporate him in what I’m doing (helping Mommy made dinner, etc. ), but I’m making a point of just focusing attention on him -no distractions- every day. At the end of the week, each person adds their points up. Points can be lost for snacking (other than celery and cucumber) and drinking alcohol, and a couple of other things as well. Each team then averages the individuals’ points, and then the teams compare their overall scores. Last week, my team lost. 🙁 But it’s okay. We have time! We’re doing this for three weeks, then one week off, and then we’ll repeat the process. At the end, the winning team gets a trophy and bragging rights. I’m almost at the end of week two. This week was definitely harder than the first week, as far as getting things done at night in time for seven hours of sleep. I’m not quite as hangry this week, as I was last week, so that’s good. I’ve been doing great at sticking to this diet, although I’m not very happy about it. I’m currently munching from a bowl of a mixed lettuce blend…no dressing, sauce, nothing. It’s rabbit food. Sometimes I boil my veggies (usually collard greens or kale) in chicken stock with onions and garlic. That definitely gives it more flavor. I probably could put vinegar on my lettuce. I should try that. My body fat has gone down, woot! I chose to use a tape measure instead of weighing-in on a scale. Some of my pants are still really tight (hellooo, muffin top), so I definitely need to drop more fat. Diet plays a huge role in that; I just need to keep plugging away at the lean meats and veggies. 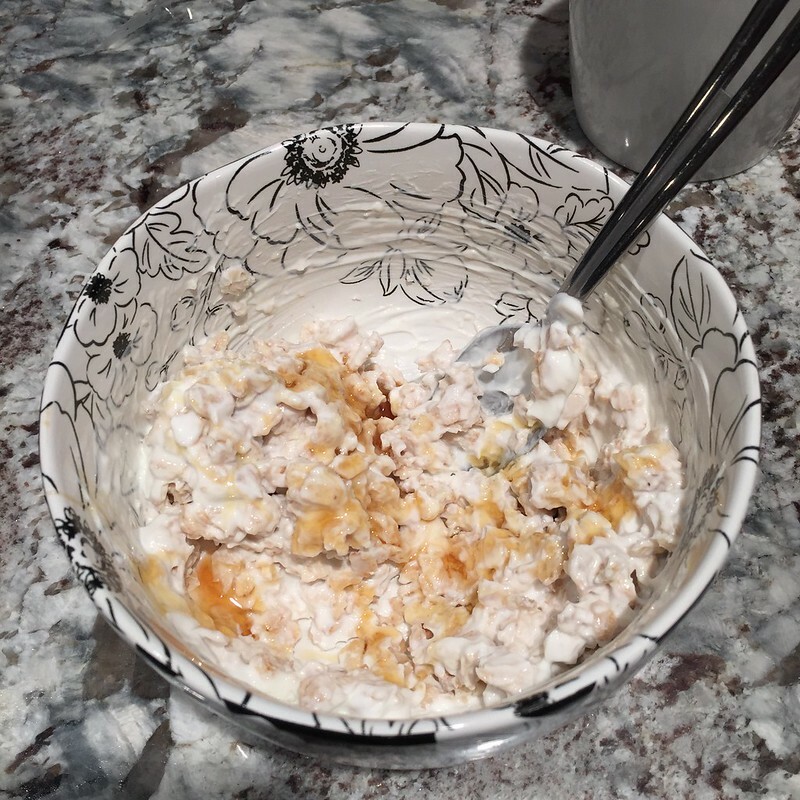 This is a typical breakfast- low fat plain Greek yogurt with plain raw oats and a half teaspoon of raw honey. Sometimes I use pure maple syrup instead of honey. For my healthy fat, I usually eat a spoonful of peanut butter (the kind that’s just peanuts…no added sugar or junk). Now that I’m looking at the photo above, that might actually be a whole teaspoon of honey not a half. I should probably wean myself off the sweets! 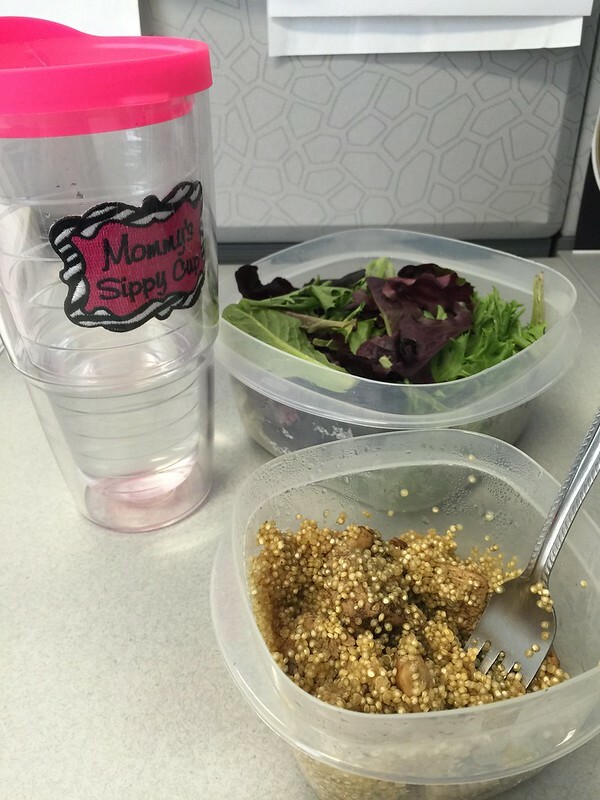 My lunch today- raw mixed greens (no dressing), quinoa cooked in homemade chicken broth, grilled chicken (just a teeny bit of olive oil on it), and water to drink. For seasonings on the chicken and quinoa I skipped the salt and used garlic powder and cumin. I also had 5 cashews. I’m not going to lie. It’s hard for me to eat like this. I think once I can use sauces and dressings again it won’t be so bad, but right now I’m trying to avoid the fats and sugar, so it is what it is. Sometimes I want to quit, but the competition with my co-workers keeps me motivated. It’s not even so much about my team losing as it is that I don’t want them to lose because of me. I don’t want to let them down. Tomorrow morning I’m having a breakfast “date” with Little J, and I’m going to thoroughly enjoy my cheat meal! I may even have an iced coffee with sugar and cream. Ohhhhh boy! 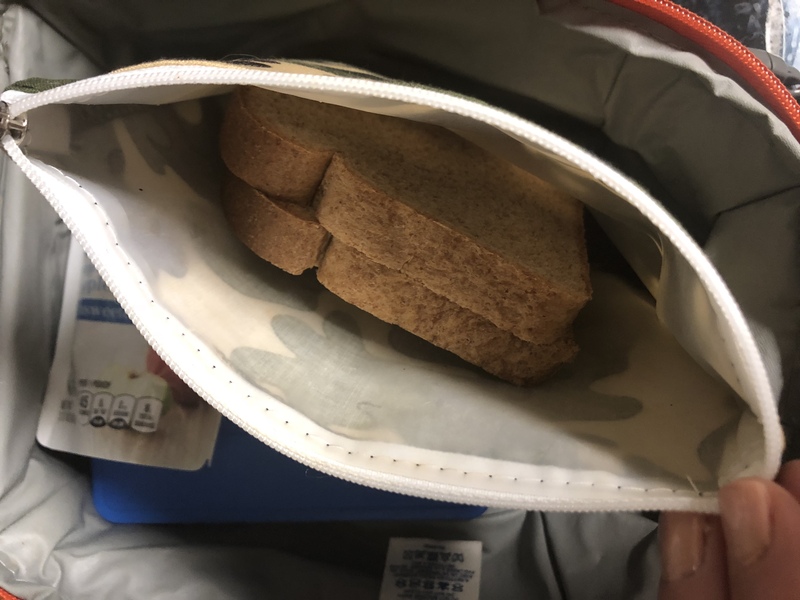 I’m always searching for healthy snacks for my son and me, usually for food that’s quick to prepare and easy to take with us on the go. Whenever I find something interesting on store shelves, I check the back label, looking for minimal ingredients and plenty of nutrition. 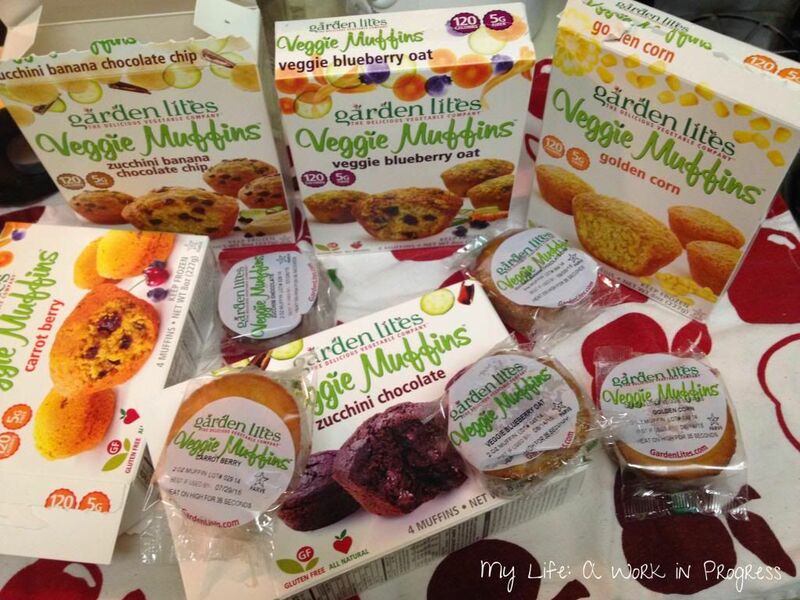 Recently, I received several boxes of Garden Lites Veggie Muffins to review. I was pleasantly surprised by the ingredient label and the taste! Keep the muffins frozen, until you’re ready to eat them. I would assume this is how the company avoids filling them with preservatives. To eat, leave the frozen muffins inside their individual packaging and heat them in your microwave for about 35 seconds. They’ll be a little hot at that point, but soon afterwards cooled enough to eat. It’s also fine to toss them in the fridge and let them defrost. Then you only have to put them in the microwave for about 10 seconds. One morning I also tossed a frozen muffin in the diaper bag when I knew we’d be gone all day running errands. By late afternoon, it was defrosted enough to eat, but I didn’t enjoy the texture. It’s edible, but these definitely taste better heated up. Zucchini, Pasteurized Egg Whites, Evaporated Cane Juice, Pasteurized Whole Eggs, Blueberries, Soluble Corn Fiber, Certified Gluten Free Oats, Sorghum Flour, Brown Rice Flour, Corn Starch, Dried Blueberries (blueberries, sugar, sunflower oil), Certified Gluten Free Oat Flour, Carrot, Canola Oil, Baking Powder (sodium acid pyrophosphate, sodium bicarbonate, corn starch, monocalcium phosphate), Blueberry Flakes (blueberries, cane sugar, natural blueberry flavor), Salt, Vanilla Extract. Not bad at all! I love that the first ingredient is zucchini. The other muffin flavors have similar ingredient lists too. 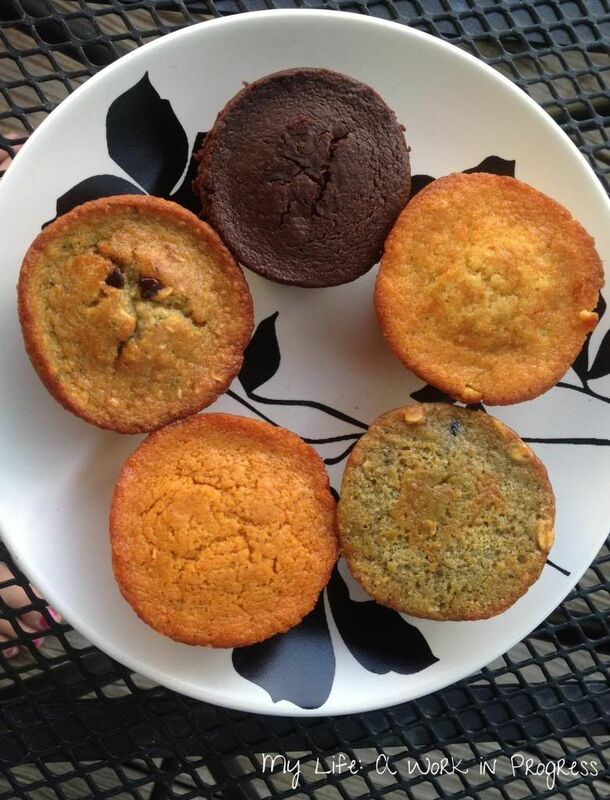 These muffins really are packed with veggies, and each muffin is only 120 calories with 0 trans fat. In the fall and early winter, I bake muffins that I like to call “Harvest Muffins.” The ingredients change, but I always keep them filled with veggies and fruits like squash, carrots, beets, and apples. Although making something fresh at home is usually the cheapest way to go, I can’t deny the convenience of keeping a pack of these individually-wrapped healthy veggie muffins in the freezer. We have a couple of muffins left in the freezer, but when we’re out of them, I will buy more. Garden Lites Veggie Muffins are sold at numerous retailers, like Whole Foods, Publix, and The Fresh Market. Flavor variety and availability will vary. Have you tried veggies in muffins before? What’s your favorite healthy snack?